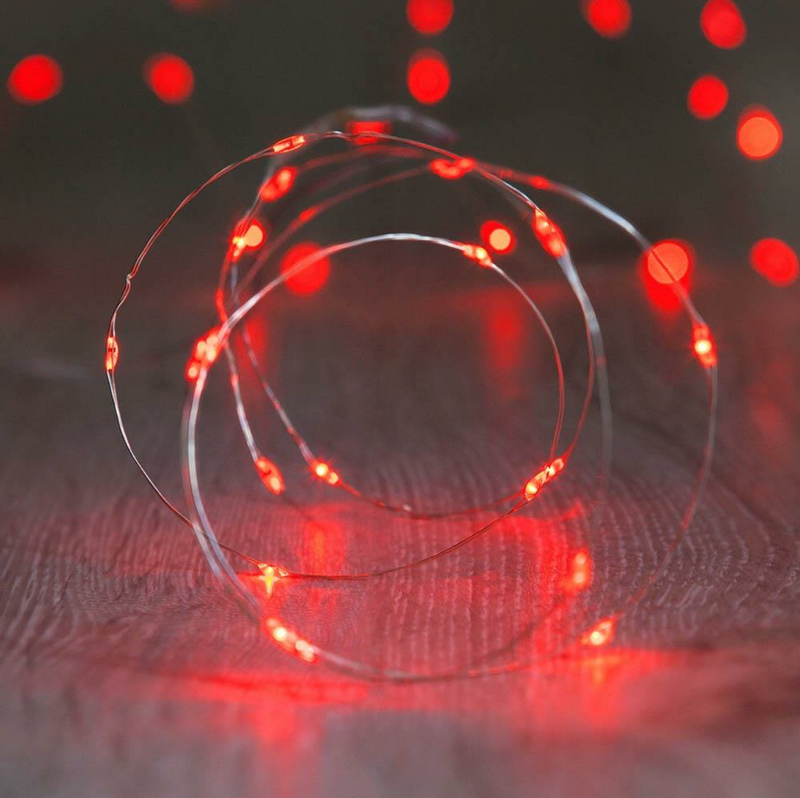 Dazzling red lights will shimmer and shine in your room, giving it a little bit of that elusive 'fairy' magic. 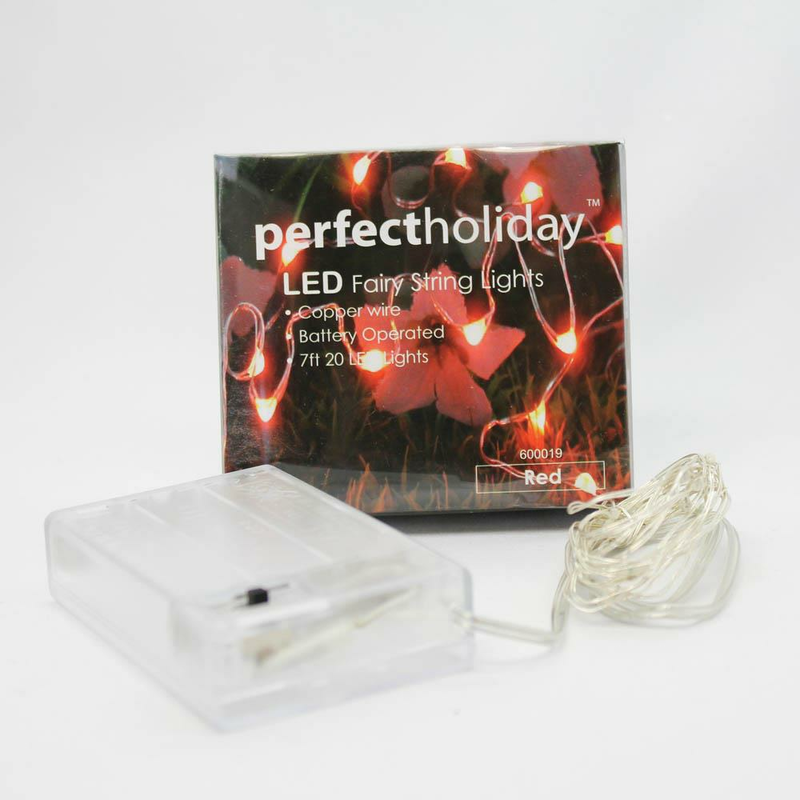 This 20 count strand of battery operated LED lights features an ultra-thin bendable copper wire. Use them anywhere you want to sprinkle some sparkling charm. Weight 0.75 pounds. 84" x 0" x 0". Copper, LED Light. 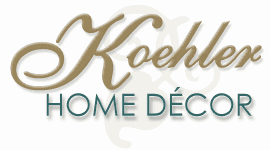 UPC Number: 00810851022133.